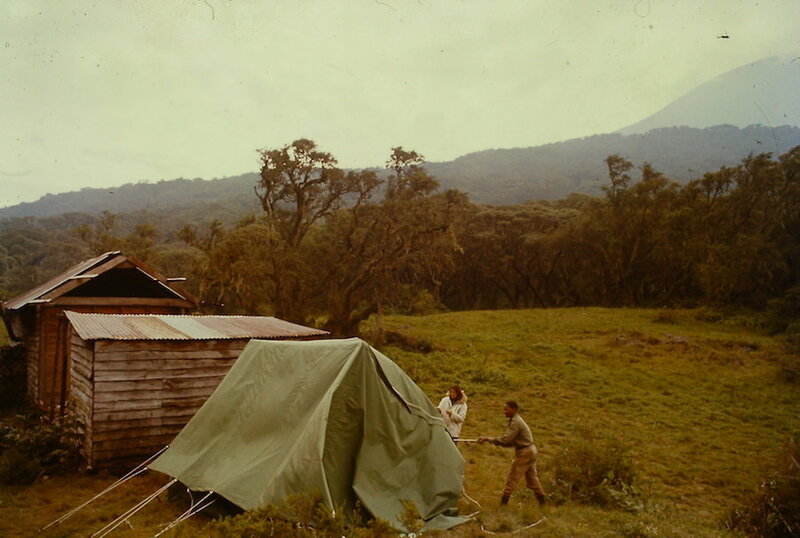 “Little did I know then that by setting up two small tents in the wilderness of the Virungas I had launched the beginnings of what was to become an internationally renowned research station eventually to be utilized by students and scientists from many countries,” Fossey wrote in her book “Gorillas in the Mist,” about the founding of “Karisoke,” a name she created from the nearby Mt. Karisimbi and Mt. Bisoke. Today all of the Dian Fossey Gorilla Fund’s work in Rwanda is run out of the Karisoke Research Center. 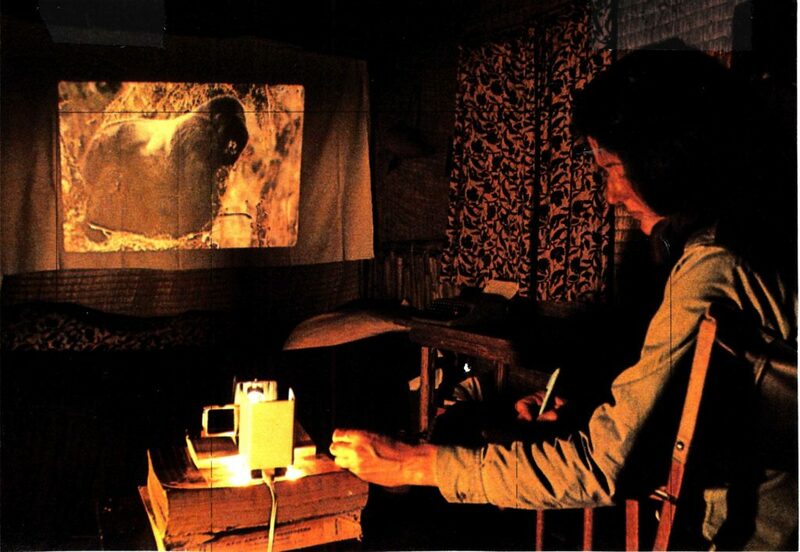 Fossey’s original objectives in founding Karisoke were to study gorilla ecology, demography and social organization. She found herself spending days searching for and attempting to observe these elusive animals, while encountering signs that poachers and other human intruders had preceded her. Fossey realized that to study gorilla ecology and behavior, she needed to recognize individual gorillas, which first required the gorillas to become accustomed, or habituated, to her presence. Thus began a 50-year legacy of study and protection of gorillas, now the longest-running field study of any primate, the source of much of our knowledge about gorillas, and the only conservation program that has led to an increase in a wild ape population. The story of Karisoke is one of enormous perseverance, courage and vision, on the part of hundreds of staff and researchers, and supporters from all over the world, as well as Fossey herself. In addition to Karisoke, Fossey founded the Digit Fund, which is today the Dian Fossey Gorilla Fund, carrying on and expanding her legacy. 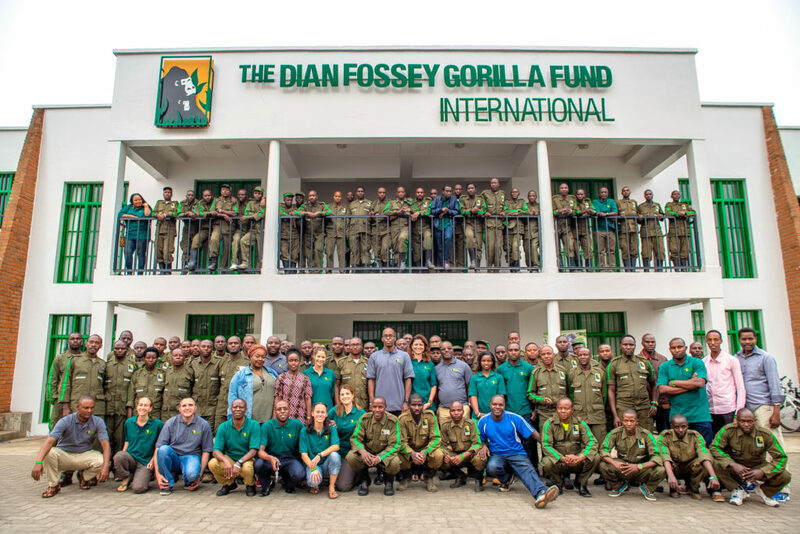 The Karisoke Research Center today is a program of the Dian Fossey Gorilla Fund, with more than 100 expert gorilla trackers protecting about half of Rwanda’s mountain gorillas every day. It is also the world’s centerpiece for gorilla conservation and science, with more than 300 scientific publications based on data collected at Karisoke and one of the largest databases on any wild animal, as well as education and community programs that reach tens of thousands of people in the region each year. In addition, the initial focus of Karisoke’s scientific efforts has been expanded to include research on the biodiversity of the region, since the gorillas’ habitat includes many other important species of animals and plants. Karisoke has also now become a center for training of the next generation of conservationists and scientists in Rwanda. The Fossey Fund brings hundreds of local university students to Karisoke each year for field courses, and training in conservation and scientific methods. Karisoke also hosts important educational programming, as well as regional conservation and scientific meetings.